These three countries are in need of Filipino workers. 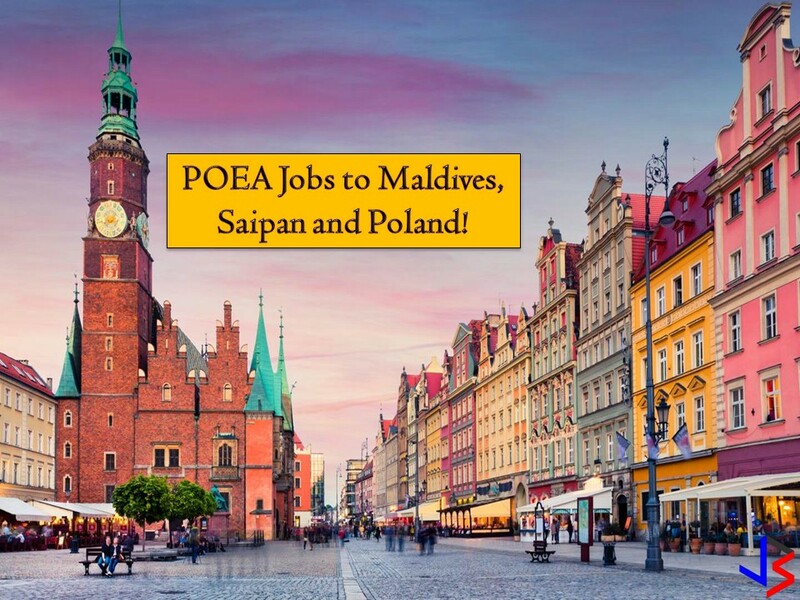 So if you are looking for international employment opportunities, you have to check the following job order approved by the Philippine Overseas Employment Administration (POEA) to Maldives, Saipan, and Poland this September 2018. This article is filed under jobs abroad, Filipina maids, IT jobs, household service workers, jobs near me, local employment opportunities, international employment opportunities, employment site, job site, hiring Filipino workers and Filipino workers.